Invasive fungal infections continue to cause significant morbidity and mortality among hospitalized patients. In particular, recent studies indicate an increase in the incidence of mould infections among transplant recipients, and Candida species have risen to be the third most common pathogen isolated among intensive care unit patients [1, 2]. Advances in modern medical treatment have led to growth in the at-risk population for fungal infections . For example, Cryptococcus neoformans has re-emerged as a growing cause of invasive fungal disease due in large part to the development of novel immune therapy for malignancies, rheumatologic disorders, and management of rejection in transplant populations . Unfortunately, these infections are associated with failures and high rates of relapse even when patients receive recommended therapy [5, 6]. 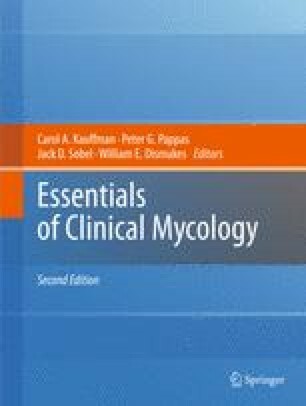 Treatment of invasive mycoses continues to be challenging and complicated by the net state of immunosuppression among infected hosts combined with relative lack of efficacy, significant toxicity, drug–drug interactions, and drug resistance associated with available antifungal agents.